I recently started LIFELIK3 by Jay Kristoff. I’ve only read Nevernight by this author and it was an okay read for me, but I’m warming up to this one pretty fast. If you’re a regular reader of my blog, this one may surprise you. 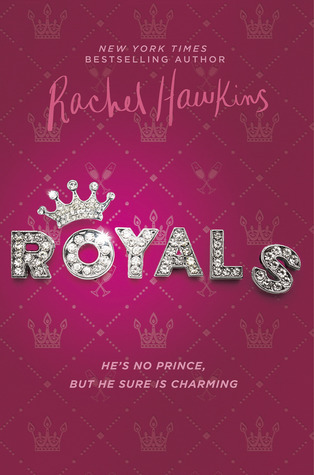 I just finished Royals by Rachel Hawkins. Definitely not my typical read, but I was in the mood for something light and from a prior read, knew this author’s humor has snort-a-drink-through-your-nose potential. Loved this light-hearted, humorous read and thrilled to learn there’s a sequel in the future. 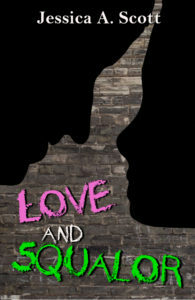 Next up is an ARC of Love and Squalor by Jessica A. Scott. Luthertown Heights isn’t anyone’s idea of paradise. Gangs run the streets, fighting and killing to claim territory, and the other residents struggle just to get by. While most of the population hides behind ragged curtains and chipped concrete walls, one woman dares to venture out into the streets. As the leader of an after school care program at the local YMCA, she strives to teach the children of this embattled city that there is more to life than violence and hate. The only thing she wants in return is someone, anyone, to call her by her real name. Known only as “White Girl” to her neighbors, she wishes so much to be embraced by the community that she loves. Instead, though, she finds herself thrust into the middle of a war between two of the city’s most lethal gangs. Armed only with her indefatigable optimism and the unexpected protection of a mysterious gang member known only as Slipknot, she must fight to ensure a better future for her city – and herself. The closer she grows to a solution (and to Slipknot), the more she has to lose as the city becomes a war zone. Can she find a way to convince her community that Luthertown Heights is worth saving? Or is it useless to think that she could find love amongst the squalor? Royals sounds like a lot of fun. I might have to add that to my reading list. Every now and then I go for comedy. I just finished a good one that had me laughing the whole way through. Diversity in reading! 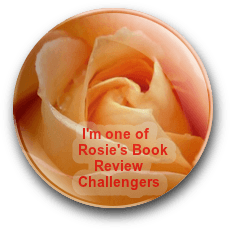 It really was fun, Mae – just perfect for a light read, and sooo humorous. LIFELIK3 sounds like it’s got a noir-ish style to it, unless I got the wrong impression from the description. Sounds interesting nonetheless. Think more along the lines of post-apocalyptic, AI, with a setting similar to Mad Max. I’m at the 35% mark and totally hooked. Royals sounds like fun…and I’m curious about Love and Squalor. Thanks for sharing…and for visiting my blog. 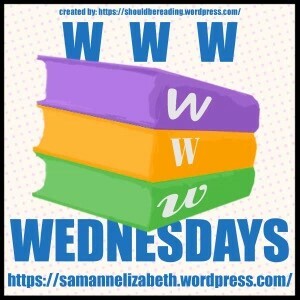 I’d definitely recommend Royals – laughs on every page! Love the notion of a book with snort-a-drink-through-your-nose potential. Wonderful to read, but definitely a gamble doing it in public. 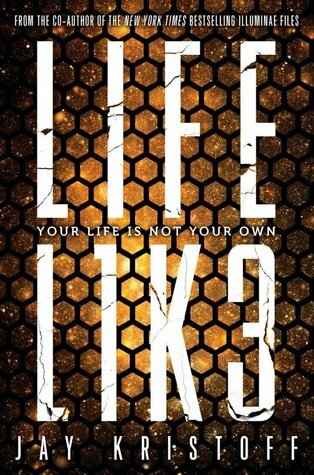 The cover for Life Like is so appealing! Thanks for visiting my blog! This sounds like a lot of fun, Teri. A super review. I don’t know how I feel about Jay Kristoff books. I read Illuminae and wasn’t a fan. I tried to read Nevernight and ended up putting it down and never picking it up again. I’m curious about LIFELIK3, but am also scared to read it since I don’t seem to click with his writing. I’m interested in reading Royals. It sounds like something I would like. After reading Nevernight, I was skeptical, and I haven’t read Illuminae, but this one has a different feel – nothing like Nevernight. Give it a try when it’s released. Royals was a blast from beginning to end! With Nevernight, it seems to be a love/hate kind of thing for readers. I’m glad I gave Lifelike a chance – liking it much better. If I’m increasing your TBR, then my work here is done, LOL. You should! 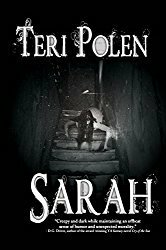 The author has a fabulous sense of humor, and it definitely comes through with her characters. I fancy Love and Squalor – look forward to your verdict! Hoping to start that one this weekend, Terry. Lifelik3 sounds super good. A protagonist who builds robot gladiators? That’s cool. Enjoy! Liking even more as I get into it. A lot going on in this book.